The rise of IndEA as a framework will trigger a flurry of activities across the entire ecosystem from consulting firms, system integrators, accredited training providers, to the professional architect community-at-large. Awareness Sessions: Multiple awareness sessions are being held with various Ministries and States introducing the topic and the framework, and educating them on the possibilities. Capacity Building: IndEA has been included as part of the curriculum in the eGovernment Leadership Programme (eGLP) targeted at strategic and leadership level Governments officers at the level of Joint Secretaries, Directors and Deputy Secretaries in Central Government; and Secretaries, Commissioners, Directors, and Joint Directors in State Governments. Pioneers: After ePragati, thankfully every ministry or State Government is not waiting for examples. They realize they can have a shot at becoming one. Such willing entities are being identified and in such cases the adoption curve is fast-tracked. Meghalaya is an example where there is enthusiastic support from the Hon’ble Chief Minister Shri Conrad Sangma. Procurement: Having IndEA in place enables the incorporation of architecture requirements into procurement cycles as a compliance mechanism. This ensures that the vendor community is aware of and consistent with architecture thinking for inclusion in their proposals. Recognition & Rewards: DARPG’s 22nd National Conference on eGovernance has included IndEA as the main theme in next year’s edition to be held in Jaipur in February 2019. The awards (including financial) are a way to recognize successful adoption and create role-models for other Government entities – thus triggering a cycle of reinforcement. Community: The Association of Enterprise Architects chapters in Bangalore, Mumbai, Hyderabad, and Delhi are playing a role by contributing expertise, expanding the body of knowledge, and getting the word out, all on a voluntary basis. 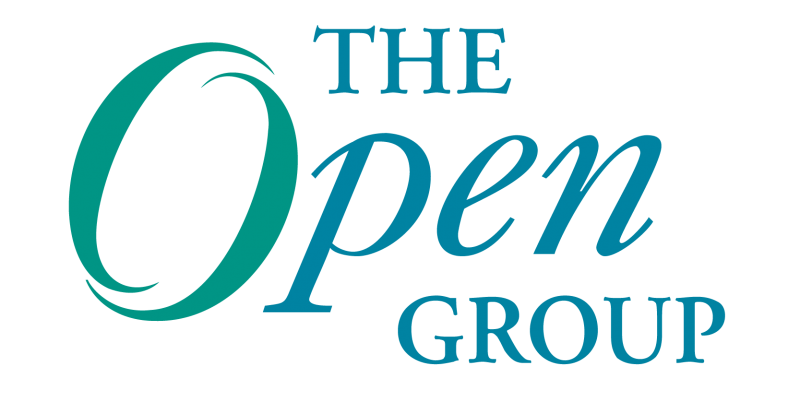 Forum: The Open Group Government EA Workgroup has been set up to provide a platform for Government leaders to discuss and learn from one another, document best practices, and share experiences. In addition, The Open Group upcoming conference in Kochi in February 2019 will include IndEA as an important area / theme. Academic Initiative: There is a global realization that architecture is far too important to be purely learnt on the job, through self-learning. It is a critical discipline that needs to be introduced at post-graduate levels across universities and institutes across the nation. This is being done in an ongoing basis. Architecture as a Career: It is my experience that we in India have a serious shortage of competent Enterprise Architects. There are several reasons for this, which I have elaborated in my article here. But increasingly, you will notice that government entities and public sector units are hiring Enterprise Architects directly (and the interesting phenomenon is that many times they cannot find the right person). Openness: The entire standard has been made available by the Ministry of Electronics and Information Technology for reference and use, as is customary for all such standards. This eliminates any concerns and issues about non-availability of IndEA to the wider group of direct and indirect stakeholders. This is completely consistent with the philosophy of The Open Group open standards. The crucial role of IndEA to power Digital India cannot be overemphasized. The aim is to enable governments at various levels envision their future and embrace digitalization to improve citizen services. As Chief Architect, South Asia, The Open Group, and President, Association of Enterprise Architects (India), Dr. Pallab Saha has been identified as a Thought Leader by IBM Smart City Connect, and featured by Forbes. He is an advisor to the Ministry of Electronics & IT (MeitY), Government of India, a key member in the National Committee for Enterprise Architecture, a co-author of the India Enterprise Architecture (IndEA) Framework, and has played a critical role in making it into a national standard. He is an invited faculty to MeitY’s e-Governance Leadership Programme for senior bureaucrats. Previously, as Head of Wipro’s Government and Public Sector Architecture Practice, he was instrumental in creating a government focussed architecture domain, and selected as an elite Distinguished Member of Technical Staff in Wipro. He also leads The Open Group Government Enterprise Architecture Working Group. Dr. Saha has published five books on Enterprise Architecture. His work has been translated into Arabic, Mandarin, Korean, Russian, and Polish. He has delivered over hundred keynote sessions at prominent forums, seminars, and conferences worldwide. Dr. Saha has been the Chief Architect to Andhra Pradesh State Enterprise Architecture (ePragati) taking it to international prominence. He is a two-time recipient of the Microsoft research grant supported by the UN, and a joint recipient of the Innovation Fund by the Land Transport Authority of Singapore. He has advised numerous public sector institutions and delivered numerous executive programs internationally. He has been invited as a distinguished speaker to the World Bank, Carnegie Mellon Univ, UN Univ, National Conference of eGovernance of the Gov’t of India, Microsoft, SAP Labs, Gov’t of India, Indian Railways, Denmark IT Society, Korea Institute for IT Architecture, IEEE, Nanyang Business School, George Mason Univ, IIM Bangalore, XLRI, IIM Kozhikode, Economic Times, Taipei City Council, NIC, Gov’t of Kerala, Indian Railways, and several countries. Dr. Saha’s work has been cited by the UN, WHO, US Department of Defense, Open Technology Foundation, Info-Tech Research Group, Carlsberg, and The Open Group, and has contributed to the World Bank EA Guidelines for Mongolia, Vietnam, and Bangladesh. He has been an examiner for research degree to the UNSW, a visiting researcher to the UN University, an expert reviewer to the ACM EA Tech Pack, and an invited guest faculty at the Carnegie Mellon University. In recognition of his expertise and contribution, Dr. Saha has been a jury member for the MP State Government E-Government Awards 2018.